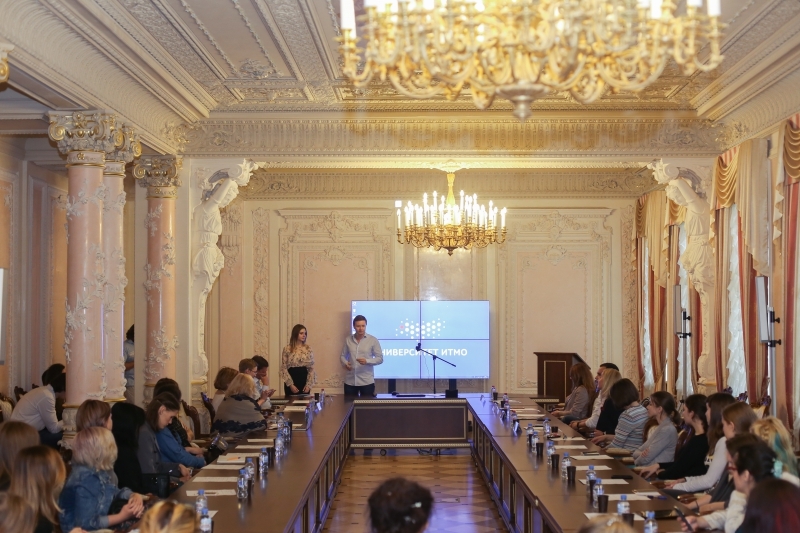 On June 30 the Girls4Tech project school for female programmers, engineers and entrepreneurs was launched in St. Petersburg and Moscow. The school is organized by ITMO University, Moscow Polytechnic University and the Moscow office of international accelerator NUMA. In the next three months, the school’s participants, aided by mentors, will develop their soft and hard skills as part of a tailor-made educational program that includes lectures on innovation marketing and project management, programming classes, prototyping at FabLab, case solving, business games and various other activities. The program is conducted at both ITMO University and the Moscow Polytechnic University. During the first week of the program the participants will become acquainted with their mentors and with their peers from Moscow (and vice-versa). This will be the first of the three times that the women from both cities will see each other in the course of the program: they will meet again during a hackathon in August and at a demo day in October where they will present their final projects. To participate, they were required to send an application including information about themselves and their project. Overall, the first Girls4Tech line-up includes 30 women from Moscow and 38 from St. Petersburg. They will soon be teamed up in pairs and each assigned a mentor who will help them develop their projects. An opening ceremony for the accelerator program was held at ITMO University in St. Petersburg. 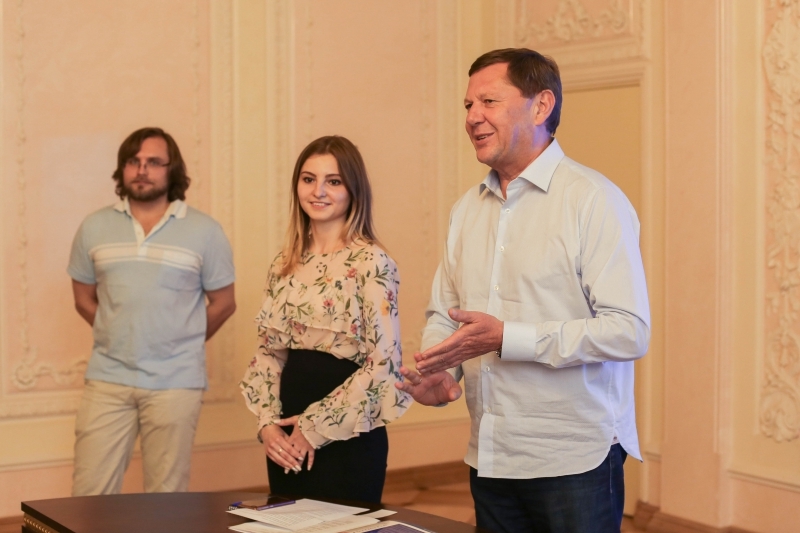 The participants were welcomed by the project school’s organizers, mentors and representatives of the university’s partner companies, as well as by Rector Vladimir Vasilyev. “My acquaintance with women’s technological entrepreneurship began in 2015 when representatives of our university – Nina Yanykina and Ekaterina Egoshina – paid a visit to our partner university in Los Angeles (UCLA – Ed.) where they have a Women’s Leadership Institute and brought this concept home. It was a revelation to me that men and women perform differently as entrepreneurs, that they differ in approach and tactics. They convinced me that we needed to launch a similar project here and we began to develop international programs in this vein at our university. 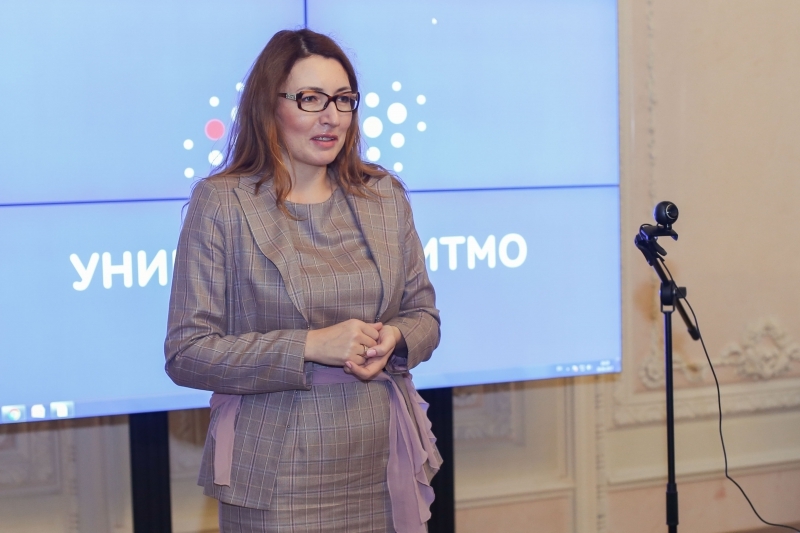 For the next three months your success depends only on you, and I hope that very soon we will see your work pay off” – said ITMO University’s Rector. According to Timofey Golovin, corporate service director at NUMA Moscow, there are indeed differences in how women and men approach entrepreneurship. Mr. Golovin believes that women make great CEOs and leaders and are good at handling risks and solving conflicts. According to statistics, Russia has a high number of women in leadership positions, but a very low percentage of women among entrepreneurs – a disparity that needs to be addressed and fixed, explains Timofey Golovin. The program’s opening ceremony was also attended by representatives of partner companies interested in development of technological business and women’s entrepreneurship. One of the event’s guests was Mikhail Nasibulin – acting director of non-profit program “Lift to the Future” set up by the “Sistema” charity foundation to support youths’ creativity in technology, science and engineering. “You’re off to a great start in a very professional community. We’ve been working with ITMO University for a long time and the team here is made up of the country’s best experts. All you’ve got to do is make the best use of this creative soil for your personal growth,” – shared Mr. Nasibulin. Sabina Raimova, head of main project office at Kronstadt Group, spoke to the participants about her career in the technological industry: the office she heads is now involved in three areas of development: aviation, defence systems and naval craft. “I can tell you from experience that if you want to make a unique product, simply having technical insight is not enough: you need to provide your developers with a decent infrastructure and sensible business processes. My advice to you is never to turn away from areas that are interesting to you and to make use of every opportunity to fulfill your potential. 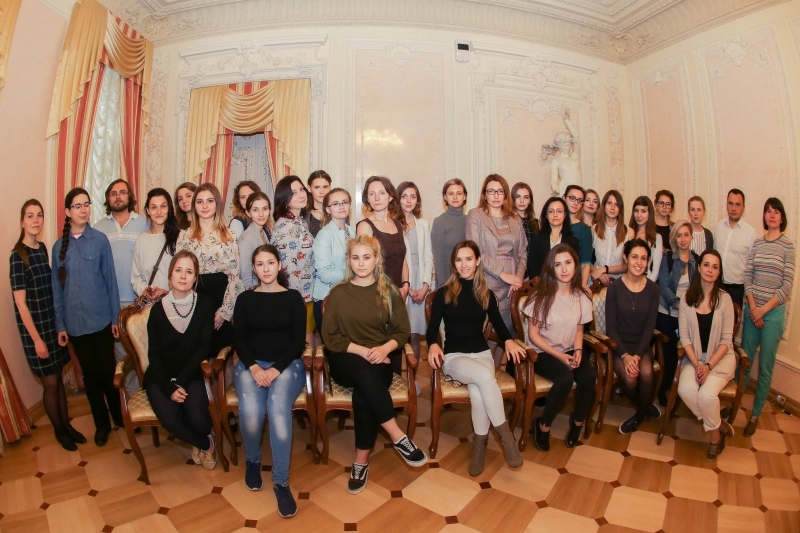 Perhaps Girls4Tech will serve as such an opportunity for you,” – said Ms. Raimova. 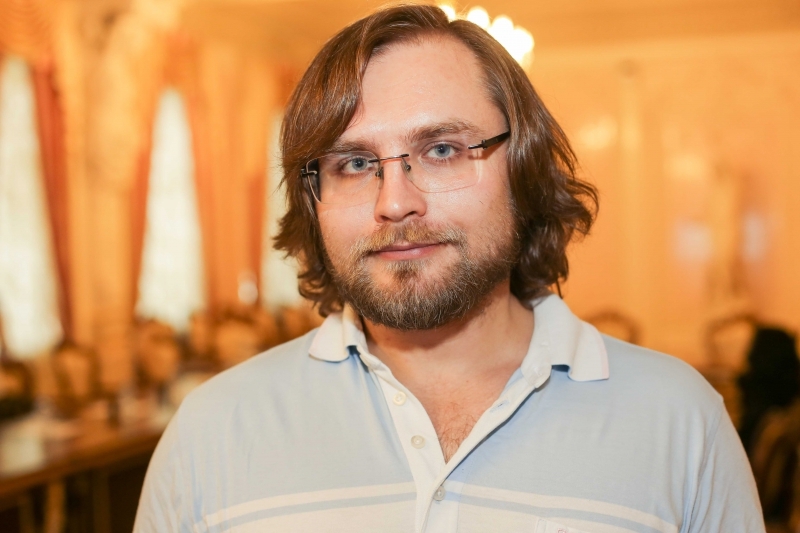 Pavel Korotin, head of St. Petersburg branch of MTS, talked about disruptive technologies that nowadays allow newcomers to have a bigger effect on the industry than those whose careers span decades. According to Mr. Korotin, the distinguishing quality of the program’s participants is their fresh look at the problems faced by certain industries (young developers see the world differently from the experts who have spend years in the industry). Because of this, those who have just arrived on the market possess an opportunity: they know what a service and a product are, they know how to transform the industry, how to shorten the distance between the manufacturer and the customer. In many countries, the use of disruptive technology has become a mainstream tactic: a large industry is analyzed and its basic processes are inspected, after which a reverse solution is developed using a simpler, non-classic business model. Tamara Baranova, COO of St. Petersburg Branch of OPORA RUSSIA, one of Russia’s largest non-government organizations that supports small and medium business owners, reminded the participants of the existence of the committee on development of women’s entrepreneurship founded by the company in 2015. According to Ms. Baranova, in just a year of the committee’s existence the company has become almost twice as big. The best projects in the acceleration program will receive a certificate for an advanced training course at ITMO University and an opportunity to continue the development of their project at NUMA Moscow.